All my growing up years I had only three aspirations. To do well in studies so that I can land a good job in Mumbai, to learn Marathi and to marry Sachin Tendulkar. I was insanely in love with that man and was crazy to buy and collect each and every picture that appeared on newspaper or magazines. Thank God it was not this era of Internet or my pile of files would have known no bound. My friends form school and collage will vouch that they loved me for loving Sachin Tendulkar which only meant one more cake to be eaten on Sachin's birthday as well. In my quest to meet him one day, I wanted to learn or do any thing that he loved. One day I read somewhere that he loves to eat Modak during Ganesh festival. 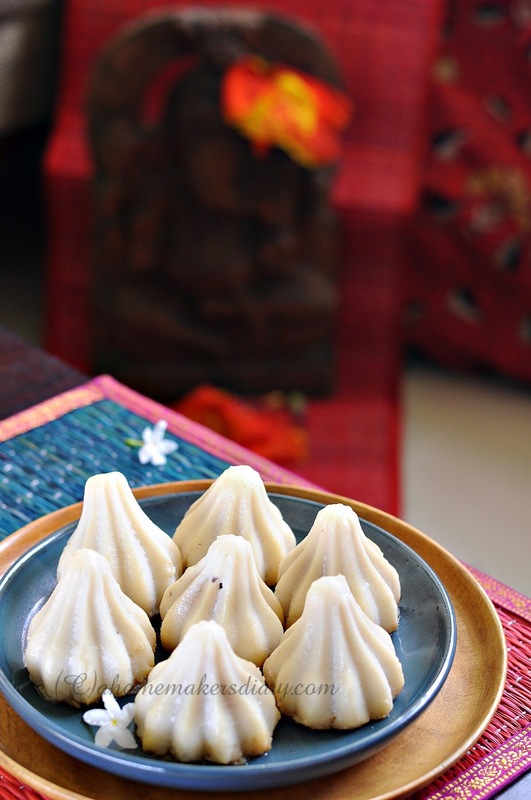 I remember asking and searching around for a modak recipe almost everywhere. But could find nothing. When I look back to that time I find myself smiling at being so naive. Of course I knew how impossible my desire was yet I loved keeping on with it. When he got married, surprisingly my heart didn't feel shattered but I was happy for him and collected all his marriage pictures with his very graceful wife. Much later that love was revisited when my husband came to meet me for the first time. One look at him and I made a fool of myself by smiling impishly amidst a houseful of elderly relatives. I could not stop grinning ear to ear as he looked so similar to my Hero. Celebrity or not very soon I fell in love with him for the wonderful person he is. 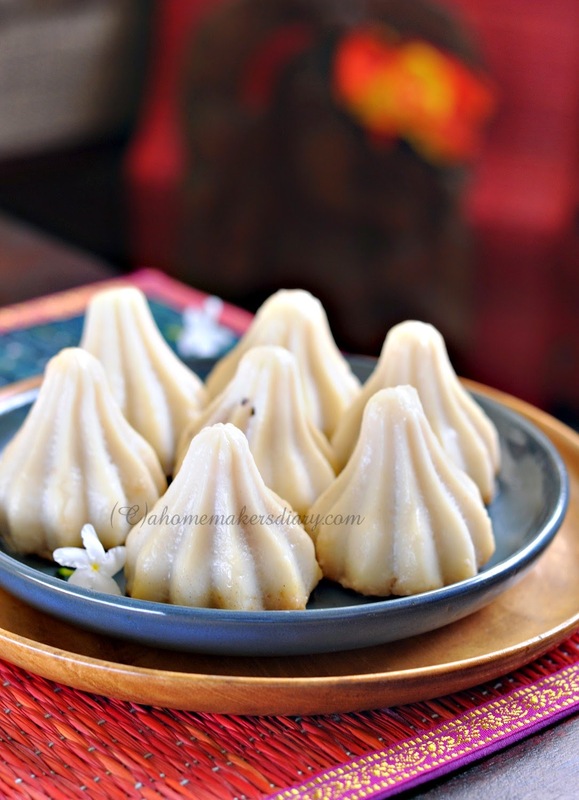 and much later in life learnt how to make Modak from my facebook friends Anjali and Preeti and could not wonder to realise how similar modaks are to our very own Puli Pithe. Same technique, same ingredients only the shape is different. 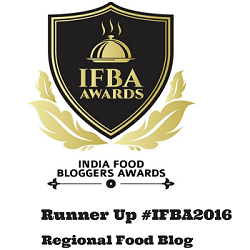 I have used Nolen gur or Date palm jaggery for this. What else do you expect from a Bengali like me. Oil to grease the moulds. First make the filling by mixning coconut, sugar and jaggery in a heavy bottom pan. cook it on low flame for 5-6 minutes or till the jaggery is absorbed in the coconut and there is no extra moisture. mix in the sesame seeds and cook for another minutes. Take off heat and let it cool. To make the exterior of the Modak heat the water with the ghee. Use a kadhai or heavy bottom pan to for this. Also keep a vegetable masher and a hardy spatula handy. Once the water comes to a boil add the rice flour and start stirring vigorously. Use all of your elbow grease as the more you knead the more softer, melt in the mouth consistency you will get. Once the water is absorbed switch off the heat and start mashing the dough with a vegetable masher. Keep mashing for 5-6 minutes. Cover with a moist cloth and let it come down to room temperature. Then again knead for a brief time to make it luscious and soft. The dough should be soft, pliable and smooth. Now grease your mould and your hands generously. Tighten the mould as shown in the picture. Take a big lemon size ball and press it inside the cavity of the mould. Carefully spread it out and spread against the walls of the mould to get the shape right. Spread all over the cavity and smoothen it. Now fill the cavity with the coconut filling. Be generous and make sure there is no air pocket left. Cover with another piece of dough. Press it to secure this last bit of dough. Now carefully remove the screw from the side of the mould and carefully open it. 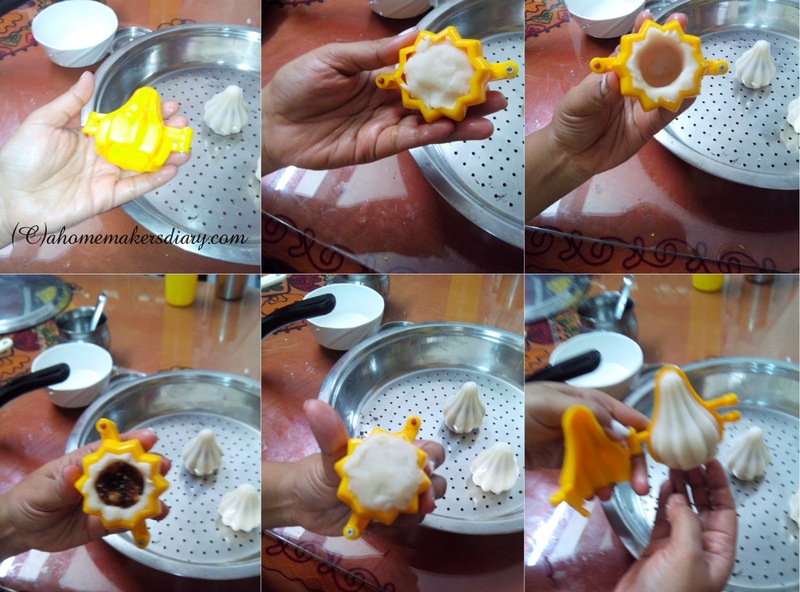 Very gently peel the modak from the mould. If you have greased it properly it will come off very easily. Place them on a sieve or your steamer pan. Repeat the process of preparing the modak and be very sure to clean the modak of any stuck dough and grease it before each use. 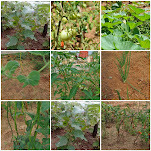 Keep them covered till all are done and you are ready to steam them. Steam the modaks for 15-20 minutes or till they are done. Serve warm with more Jaggery syrup or ghee on them. To store any leftover, use an air tight container. First bring them to room temperature and then store in fridge. 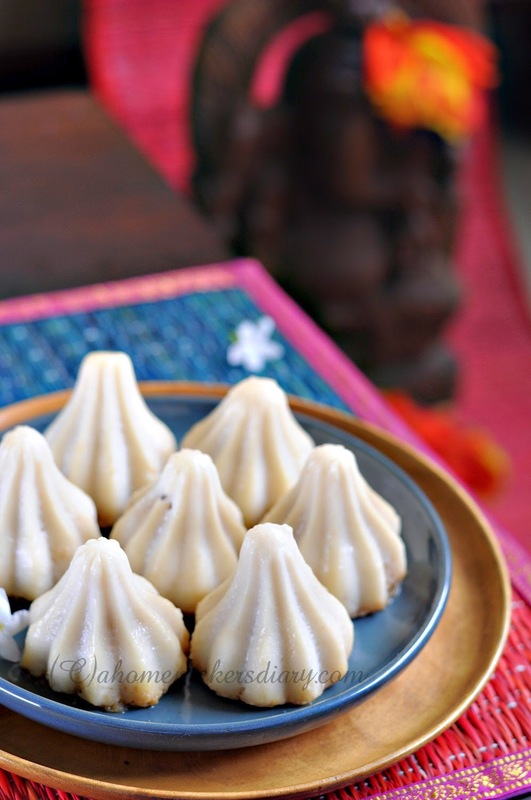 Hope you will enjoy these modaks as much as Ganapati Bappa does. 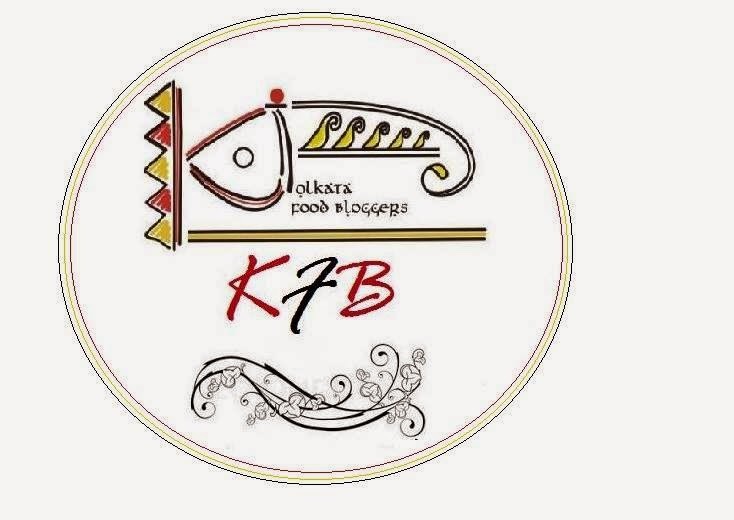 For better result use very fine rice flour. The coarser the grains are the imperfect results you will end up with. Kneading the dough is very very important. You might have to use more water depending on the quality of the rice flour. try to mash as much as you can while it's till hot and later when you can handle knead it to make it smooth. You can also add fried nuts (chopped finely) to the filling. Try to make the exterior as thin as possible for a better result. Mine are little thicker than I would like it to be. Sayantani! Loved your story of being in love with Sachin and imagine you even saw him in A :). So adorable that you wanted to make modak for Sachin. 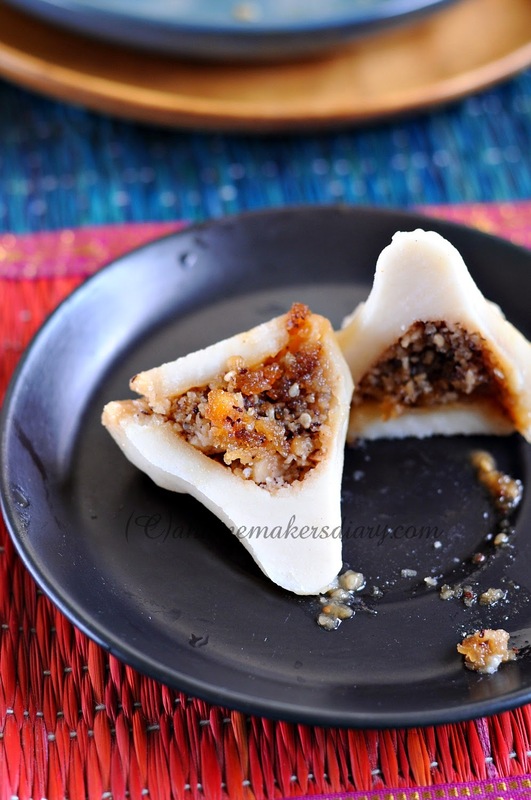 You lived up to your Bengali name and I can imagine how delish the Nolen gur would make those modak. They look stuffed well and I was almost reaching out to pick them up. Love. Delicious. I like your modak making tool. I made them by hand and for every one I got correct there were 2 that come out not looking good. Love the color that gur imparts.